Improving overall performance in search is an absolute must in a world in which search engines are responsible for a large share of traffic for most sites. While social media and organic visits continue to become a larger share of traffic for many sites with each passing year, search engines remain the tried and true way in which to be found by many within a given audience. There are literally hundreds of individual considerations – both minor and major; technical and aesthetic – that must be made when considering overall SEO performance in search. 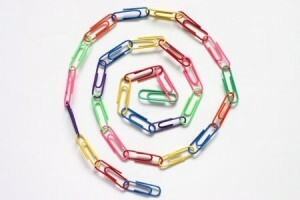 Internal links on your website, however, may be one often overlooked component. Below, we’ll discuss how internal links can affect overall search rankings. Navigation links are critical components for any website, but particularly in regards to overall SEO performance. The navigation links – those that appear on each page of your website – will be identified by search engines more readily than those that are only linked to from one or two pages. This increased correlation between the number of the links on a website to a given page and the importance factor ensures that these pages rank prominently when users perform specific queries. For instance, someone who is pinging search engines for “[yourwebsite] contact” will likely be shown your navigation menu contact page as the first search result. For websites that sell a variety of products of services, keyword associations are exceptionally important. Not only are these associations important for a given page in search, but the effect that multiple pages can have on one another and in search is critical. For instance, a common tactic for many websites is to use the “recommended products” feature in order to show users a wide variety of other products related to the one they are perusing. This is done via keyword association, and it ensures that several different products or services are connected through these associations (and are therefore more likely to appear in search) through their internal link associations. Building a website with an extensive network of internal links helps ensure that the overall structure of the website is effectively defined. Search engines must be able to index your website effectively in order to rank pages accordingly, which is exactly why proper site structure matters. From the main page, the easier it is for search engines to find your pages, the more likely it will be for search engines to index them on a regular basis. While it may not seem important that search engines regularly check your website for updates, there is evidence to suggest that higher ranking pages are usually indexed by Google and others on a regular basis. By ensuring that your pages are pinging search engines regularly, that your pages are connected to each other through thorough navigational menus and that keyword associations via links are created via relevant pages, you’ll be able to increase overall search performance by merely improving internal link synergy.